Cardinal Tarcisio Bertone, S.D.B., Camerlengo of the Holy Roman Church, concluded his mandate as Secretary of State today at Noon Rome time. His successor Archbishop Pietro Parolin, 58, takes over today though he had surgery for appendicitis. Until this appointment on August 31, the archbishop had been the nuncio in Caracas. Cardinal Bertone, 78, is a vowed member of the Salesians Society, a priest for 53 years, 22 years a bishop and 10 years a cardinal; since 2006, the Secretary of State. In 2007, Benedict appointed Bertone Chamberlain of the Apostolic Chamber. Pope Francis’ expression of gratitude to Cardinal Bertone follows. Also, a report from Vatican Radio has been filed. AND here is a report on the event by Rome Reports. “It is time for you, dear brother, to ‘pass the baton’ in the service of secretary of State. I therefore wish to join with you spiritually in giving thanks to God for the good that he has allowed you to achieve in this, such a delicate and challenging role. The memory of St. Theresa of Jesus, whom we celebrate on this date, invites you to turn your gaze to God: “Let nothing disturb you”, says the great saint of Avila, “let nothing frighten you; whoever has God lacks nothing”. “On this occasion I feel the need to express my deep gratitude for the diligence which you have brought to your work over these seven years; and I do so also on behalf of the beloved Pope Benedict XVI, who called you from Genoa, where you were archbishop, to return to Rome and entrusted to you the role of secretary of State from 15 September 2006, and therefore also that of Camerlengo of the Holy Roman Church. Seven years of hard work, lived with great generosity and in the spirit of service. I too have benefited to this day from your expert collaboration. 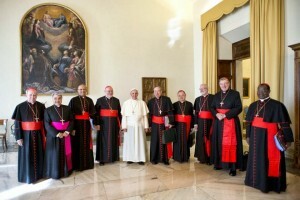 The Council of Cardinals have finished their official meetings for this round (1-3 October). They have been meeting since their April appointments through other means before now, and they’ll continue to contact each other as they work through the next set of agenda items. The Council is due to meet 3-5 December and then in February 2014. Come Holy Spirit. Come through Mary. Word from the Holy See regarding the meeting this week of Pope Francis and the Council of Cardinals is that substantial change is expected in the Roman Curia. The change at hand is not going to be a mere redaction of Pastor bonus, the 1988 ecclesiastical constitution promulgated by Blessed John Paul II. 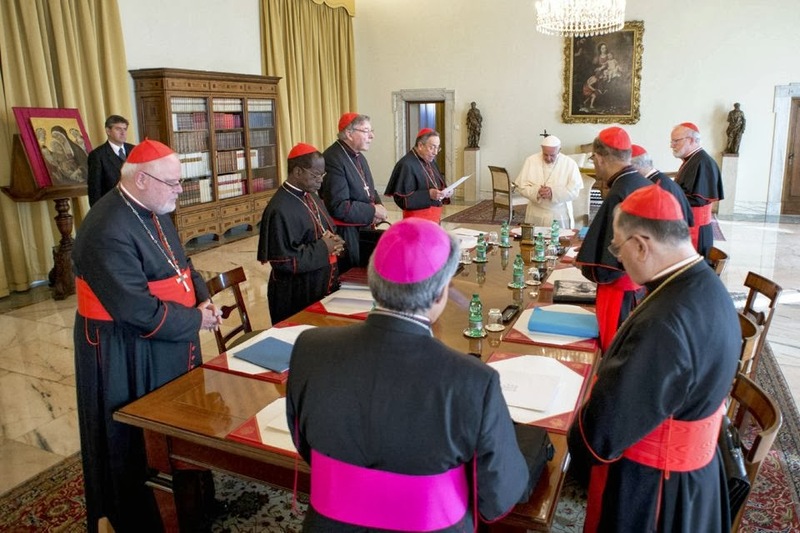 The accent is going to be subsidiarity providing room for greater collaboration between and among bishops and national Conferences of Bishops. Nothing has been firmly decided and it will be the Pope who who will take these days of consultation to prayer and make decisions. It is speculated that significant revisions will happen in the current Secretary of State –perhaps being reformed to be an office of Secretary of the Pope. 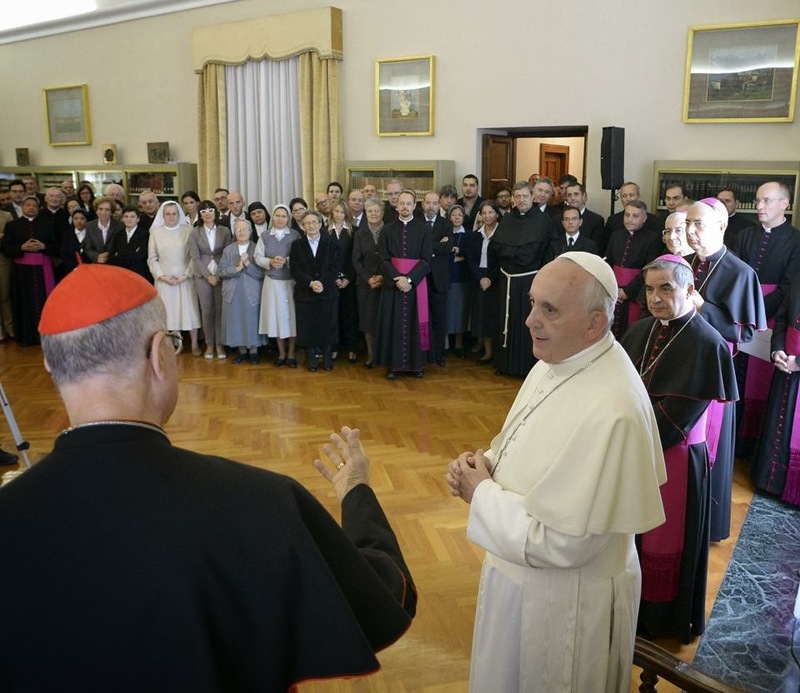 Also, there could be a Moderator of the Curia, and the revision of various Departments. The Council meets twice a day with the Pope. Cardinal George Pell of Sydney, Australia, 72. Missing from the Council at the moment is a bishop/Cardinal from one of the the Eastern Catholic Churches. The Press Office directed by Jesuit Father Frederico Lombardi has this to say about parts of the meeting that are of interest. A previous review is here. The Institute for Works of Religion (aka, the Vatican Bank) has published the first annual report of its 125 year history for the year of 2012 and the first 8 months of 2013. The goal: to report to the universal Church its holdings giving a window of transparency, it contributes to the mission of the Church; the investors, and the public. The IOR has, in the past months, reached out to the media by engaging in an open dialogue, creating a new managed website, and given the published report on finances. You’ll find a lengthy report on the IOR’s business activities and detailed financial statements, including one from the external auditing company KPMG and statements from various others. No new facts; the IOR is a conservative financial institution. You can read the report here (it’s a 99 page .pdf). Father Bernd Hagenkord spoke with the President of the IOR, Ernst von Freyberg. Here is a 6 minute Vatican Radio interview. Ernst von Freyberg and Pope Francis have been hot on reforming the Institute of Works of Religion (Istituto per la Opere di Religione [IOR]), also called the Vatican Bank. Work started under Benedict XVI and much has been done to give a comprehensive review and reform of the IOR’s workings. Behavior unbecoming of the IOR has been in the media and it greatly distracts from the Church’s work. A new pontificate with interest in reform sets the stage and expectation. Yesterday the IOR unveiled its new website that can be accessed here. Lots of good and fundamental information is contained on website. Compliments to Mr. von Freyberg for taking the work seriously. The website is only a beginning but what is given to us as a concrete gesture of trust. If the Vatican Bank is going to continue, and if it is going to truly live the mission to serve the universal Church, then nothing short of complete revision and coherence is required. 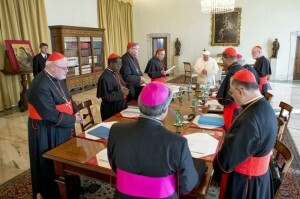 The renewal of the IOR means: all of the clergy, especially the bishops and cardinals, need to be replaced with competent and honest men; plus, the integration of a group of international competent laity (men and women) to run the bank need to be appointed; and an attitude of service doing the Lord’s work for the common good needs to be concretely lived. This last point we can’t dismiss: there needs to be a program of spiritual formation in place. Take nothing for granted. 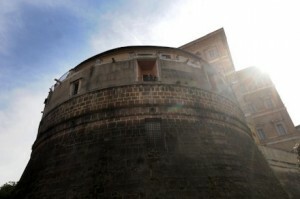 Anything to the contrary ought to lead directly to the immediate closure of the Vatican Bank.